I hereby grant Zen Den Yoga School permission to interview me and/or to use my likeness in photograph(s) /video in any and all of its publications and in any and all other media, whether now known or hereafter existing, controlled by Zen Den Yoga School, in perpetuity, and for other use by the school. I will make no monetary or other claim against Zen Den Yoga School for the use of the interview and/or the photograph(s)/video. By participating in any of our programs, you are agreeing to the terms above. We will try to accomodate your special needs, but in general this is our policy. 3) If you choose to leave the program at any time, you agree to zero refund. All charges are final and non refundable after arriving at and starting the program at the School and Retreat Center. 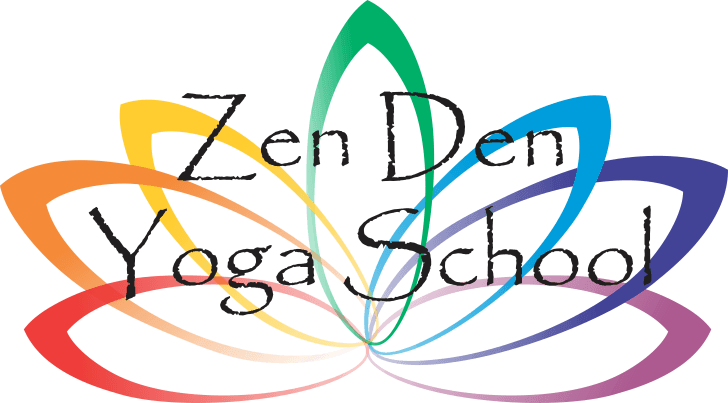 Final payment for all programs must be received in full by Zen Den Yoga School at least 30 days prior to the start of the program, unless otherwise stated. Reservations may be canceled if final payment is not received by the due date and cancellation charges will apply. Departure taxes, port charges, surcharges, and government fees are not part of the tour price and will be billed as a separate item on your invoice. Changes in plans: changes in your plans that affect departure city, cabin categories and/or passport name changes may incur a per person administrative charge or possibly a cancellation charge. All changes are subject to availability and cannot be guaranteed. Every effort has been made to produce pricing information accurately. We reserve the right to correct errors. If you must cancel your participation in a program, you must do so in writing. Cancellation refunds will be calculated as of the date we receive your written cancellation. Any applicable refunds will be processed 30 days after our receipt of your written cancellation. Processing fee: there is a non-refundable fee of $125 per person for each program you cancel. This fee reflects only our costs of administering a reservation, and is not intended to be punitive in any way. We realize the majority of those who cancel their reservations do so out of necessity. Traveler substitutions are encouraged if you must cancel your trip, but may be subject to the above cancellation charges. Please note that we do not make any refunds for any unused portion of your trip. We encourage you to purchase travel insurance to protect your travel investment. A valid passport is required for U.S. citizens traveling on our international programs. You will be notified if your destination requires a visa for U.S. citizens. Non-U.S. citizens should contact the appropriate consular office for entry requirements pertaining to their trip, as Zen Den Yoga School is not responsible for providing you with this information or documentation. You must advise us in writing, at or prior to booking, of any physical, emotional or mental condition which may require professional attention during the trip or may require the use of special equipment. If you fail to disclose any such conditions, Zen Den Yoga School may refuse to allow you to take the trip and you will forfeit the trip cost; and in such event we shall have no liability, financial or otherwise. If you are so challenged, you must bring and be responsible for all necessary items related to your condition. If any such condition arises after the trip is booked, you must advise us in writing immediately. Failure to advise us shall release Zen Den Yoga School and all professional personnel from any liability related to such condition or its treatment. Zen Den Yoga School is not responsible for the costs of any medical treatment you may require during the trip. Under no circumstances is Zen Den Yoga School responsible for the quality of medical care, or lack thereof, you may receive while on the trip. Zen Den Yoga School reserves the right to change this policy. Release: Awareness is fundamental to the practice of yoga, and I am fully aware that some of the yoga poses may be difficult for me and that it is my responsibility to monitor each activity and determine whether it is appropriate for me to participate. I acknowledge that it is also my responsibility to consult with a physician regarding any injury or condition that may affect my participation in any yoga classes or workshops. I agree not to hold Zen Den Yoga School or any of its affiliates liable for any injury or damages related to my participation in class, workshop, training, retreat or other activity. I agree to assume full responsibility for any risks or injuries, known or unknown, which I might incur as a result of participating in these classes or workshops or other activities. By participating in any of our programs, you are agreeing to the terms above. Zen Den Yoga School reserves the right to change this agreement. This privacy statement describes how Zen Den Yoga School collects and uses the personal information you provide on our website: www.zendenyogaschool.com. It also describes the choices available to you regarding our use of your personal information and how you can access and update this information. Zen Den Yoga School is a Participant in the TRUSTe Privacy Seal Program. TRUSTe is an independent organization whose mission is to advance privacy and trust in the networked world. This website has agreed to have its privacy practices monitored for compliance by TRUSTe. If you have questions or concerns regarding this policy, you should first contact us at bocayogi@gmail.com. If you do not receive acknowledgment of your inquiry, or if your inquiry has not been satisfactorily addressed, you should then contact TRUSTe. TRUSTe will then serve as a liaison with the Web site to resolve your concerns. You may choose to stop receiving our newsletter or marketing emails by following the unsubscribe instructions included in these emails or you can contact us at bocayogi@gmail.com. To review and update your personal information to ensure it is accurate, contact us at bocayogi@gmail.com.